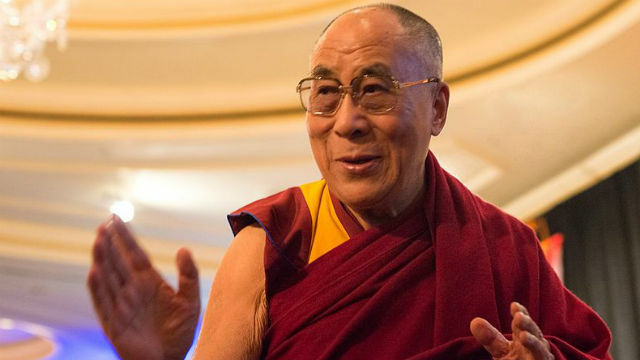 The University of California San Diego will host His Holiness the 14th Dalai Lama at a public event June 16, where he will speak about “Embracing the Beauty of Diversity in our World” to an estimated 25,000 attendees on the campus’s RIMAC Field. On May 1, general tickets will be released for the June 16 public address. There is a $15 service charge per ticket; an optional parking permit is $10. A maximum of four tickets per transaction will be allowed. Please visit compassion2017.ucsd.edu to purchase tickets and parking passes, as well as access FAQs regarding security, parking and more. The UC San Diego public event featuring His Holiness the 14th Dalai Lama on Friday, June 16, 2017 will begin with entertainment and festivities on RIMAC Field at 9 a.m. The one hour public address by His Holiness begins at 10 a.m., followed by a half hour Q&A session. Attendees are asked to arrive early as UC San Diego expects a large audience. Parking and entrances to the campus will be impacted, and all guests entering RIMAC Field are subject to a metal-detector screening. His Holiness the 14th Dalai Lama, Tenzin Gyatso, describes himself as a simple Buddhist monk. But to the world he is a renowned peace advocate, a beacon of hope for humanity, sharing inspirational messages with international audiences that range from young students to world leaders. In addition to the public address on June 16, on June 17, the Dalai Lama will deliver the keynote speech to all UC San Diego graduates, their families and friends from on from 9 to 10:30 a.m. at UC San Diego’s invitation-only All Campus Commencement. The talk will focus on the value of education, ethics and compassion for the well-being of self and others. UC San Diego is the first stop on the Dalai Lama’s 2017 U.S. tour. The events are presented in partnership with The Friends of the Dalai Lama Foundation, which was founded by Ven. Lama Tenzin Dhonden, the Personal Emissary for Peace to His Holiness the 14th Dalai Lama. After the Dalai Lama first visited San Diego in 2012 to speak at events organized by UC San Diego, San Diego State University and the University of San Diego, there has been high interest in bringing him back to our campus. Following the Chancellor’s request, last October, Chancellor Khosla and Lama Tenzin traveled to India to meet His Holiness and extend an invitation—and he accepted. “His Holiness the Dalai Lama has been invited to speak at most major universities in the U.S. because his global message of universal responsibility, kindness and compassion is loved and appreciated by people all over the world, and applicable to every field of study,” said Lama Tenzin Dhonden.